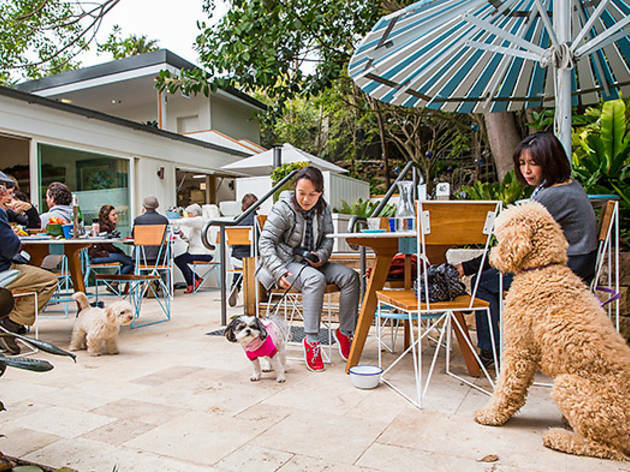 Reward yourself at the end (or start) of a vigorous pooch-walking session at these convenient Sydney brunch spots. Nothing says 'who's a good boy' quite like a lush beer garden and a big silver bowlful of water. 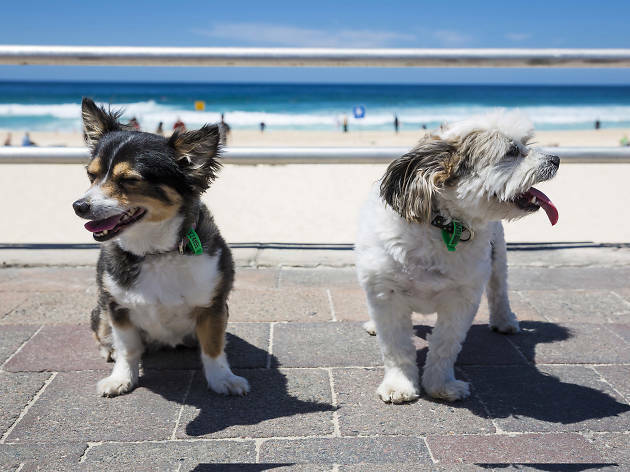 So, to treat yourself and your pooch, we've compiled a list of the most dog-friendly pubs in Sydney. Bonus points: even if you don't own a hound, you're likely to run into a few of them at these joints. So if you're desperate for a bit of canine bonding, it's worth fetching up empty leashed to play with other people's pets. 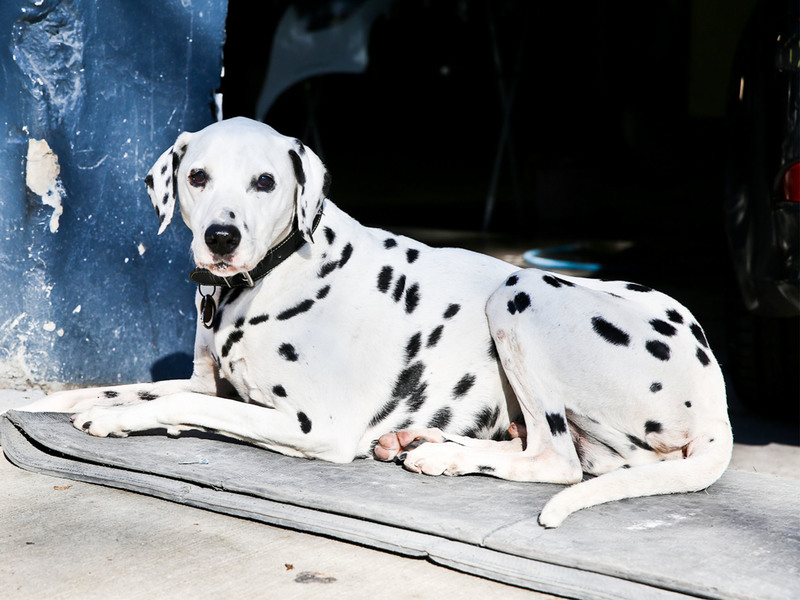 Before he lived at Roslyn Motors Body Works, Pablo the dalmation belonged to a customer. 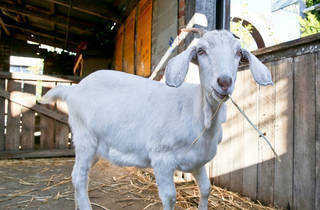 One day, the customer asked if shop owner Harry could mind Pablo for a while, and being a nice fellow, Harry said yes. But the customer never came back, and Pablo has been supervising the mechanics and entertaining the customers ever since Pablo, how old are you and how long have you worked here? Well I think I’m 12, but I stopped counting. I’ve been on the job for about a decade now. Do you like your job? Yeah, it’s a great gig. I get to meet lots of people and I’ve learned a lot about fixing cars from the ol’ boss. What are your main duties? I’m responsible for meeting and greeting the customers, and helping them with whatever they need. If they need to talk to Harry, I set it up; if they need to give me pats and rub my belly, I make sure they get their money’s worth. Do you get along with your co-workers? All the guys are true-blue fellows, and they’re all top mechanics too. I get along best with Milo, a Staffy who lives with Harry’s son. We have a lot in common because we’re both Scorpios. What’s the best part about working at Roslyn Motors Body Works? The customers. Some come by just to say g’day, and some even take me for walks. I don’t even need them to take me back to the shop, I know my way around, and Harry taught me to wait at zebra crossings. Best mates and award-winning show dogs, Harrison and Phoebe work together at the Ensemble Theatre. 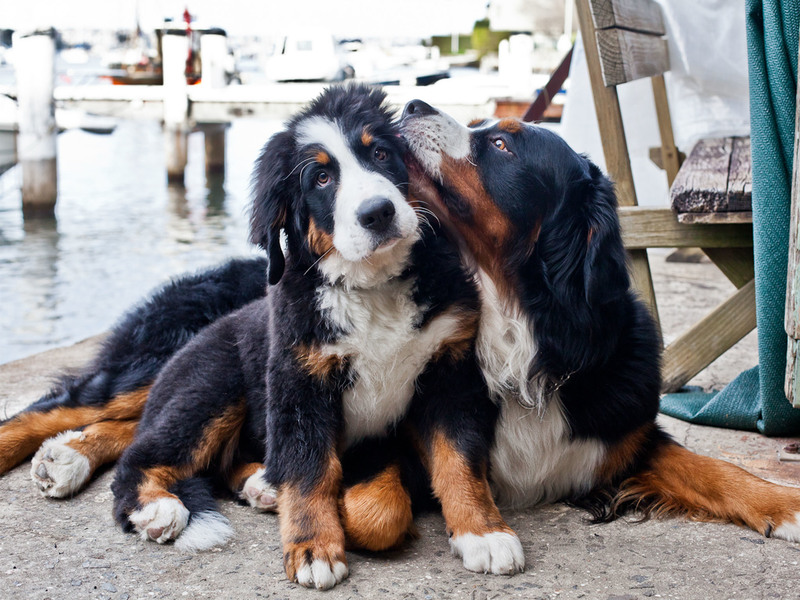 These beautiful Bernese Mountain Dogs were born to be onstage, and the North Shore theatre is the perfect place for them. Their agent, David, kindly allowed us a few minutes with his star clients. Firstly, how old are you two? Harrison: I’m three, and Phoebe is four months. But she’s very mature for her age. Tell us about your awards from the All Breeds Dog Show. Phoebe: I won Best Puppy in Show. It was my first show! Harrison: I won Australian Champion. I was pretty stoked. How long have you worked at the Ensemble? Harrison: Since we were born. Phoebe: Harrison showed me the ropes. I’m still learning but he’s a very good teacher. What do you do at the theatre? Phoebe: We’re in charge of entertaining the actors before a show, and we assist David with the finances. Harrison: We’re also the company’s chief biscuit eaters. Oh, and every day at 2.30pm we hold a community meeting in Milson Park, where local dogs discuss neighbourhood matters. What do you do in your spare time? 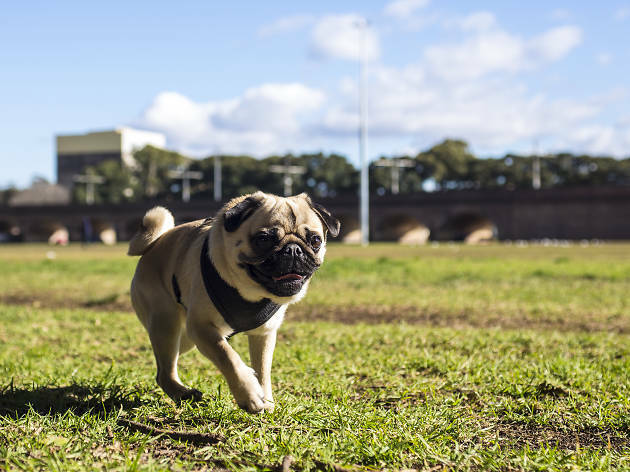 Harrison: David takes us for a sunrise walk in Sydney Park every morning, and on weekends we hang at the café there. There’s heaps of dogs and the coffee is excellent. You should go. Phoebe: I like it when David takes us out for a drink in Newtown. It’s a great way to end a hard working week. 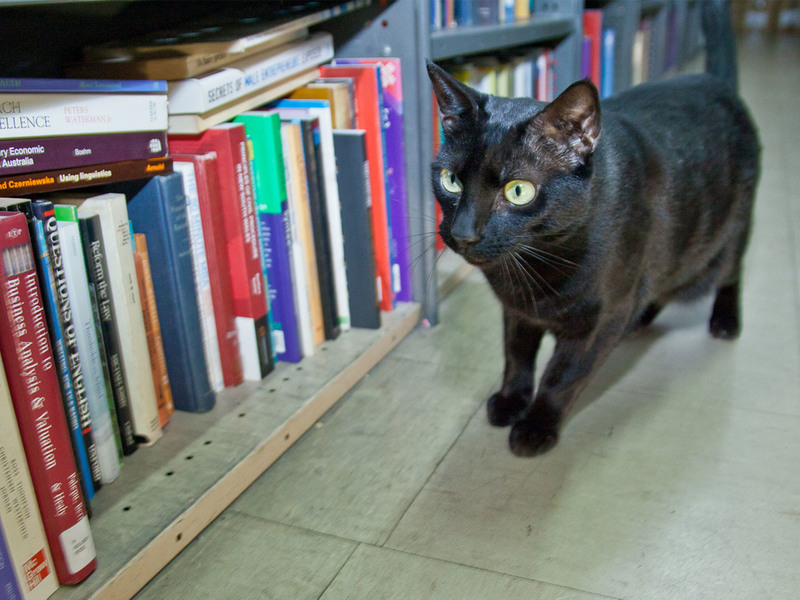 Gould’s Book Arcade is a Newtown institution. Established in 1967 by activist Bob Gould, it’s been keeping Sydneysiders well read for decades. Gould’s is huge, with aisles and aisles overflowing with books. 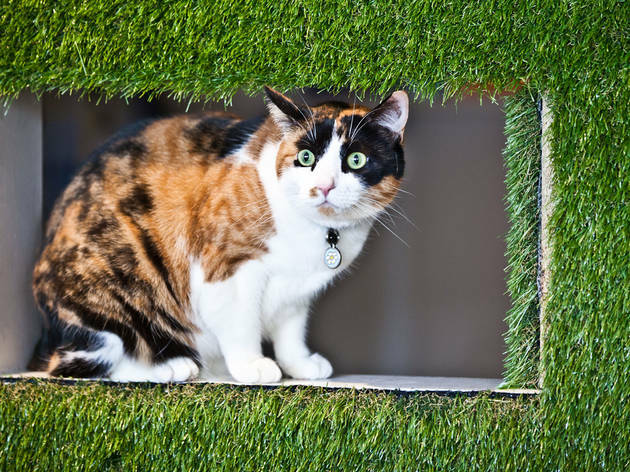 It’s easy to get lost in there, so if you need help, long-time employee and feline of few words Oscar the cat will (reluctantly) sort you out. Hi Oscar, do you mind if we ask you a few questions? Look, I’m really busy. Can you keep it quick? We’ll try our best! How long have you worked at Gould’s? Since I can remember. 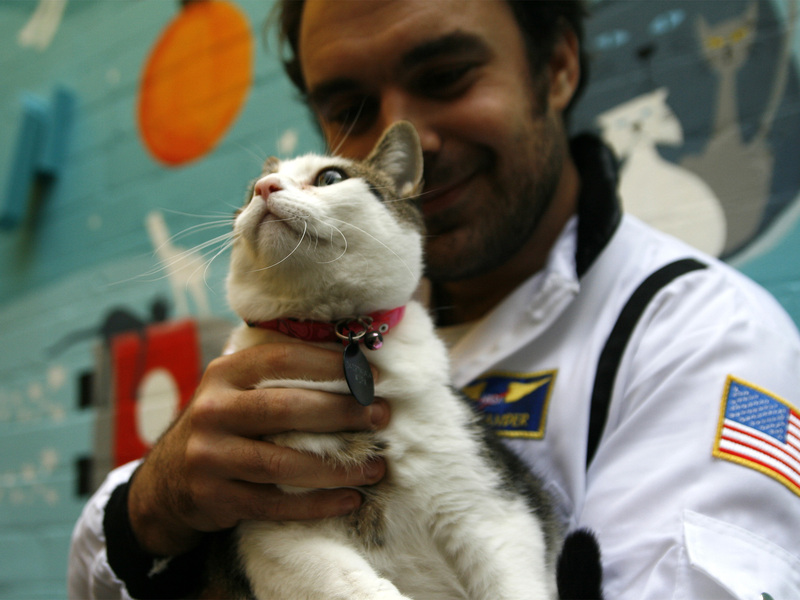 They hired me when I was a kitten, and saved me from life on the streets. Is it a good place to work? Well I have nothing to compare it to, but I enjoy coming to work every day and I don’t have any complaints. I guess that means yes. What do you do here? I’m in charge of finding warm spots to nap in, sleeping on books, and walking around like I own the place. So where are the best spots to lie? In the morning I generally nap in the Russia, Eastern Europe, and Stalinism section – it gets the best morning light. Then in the afternoons I’ll either nap in the Craft, Pottery, and Antiques section, or the Maritime, the Sea, and Oceanography one, depending how busy we are. Do you have any favourite books? I’m a big Bukowski fan. And I love Elmore Leonard. But I’d say my all-time favourite book is Life of Pi. 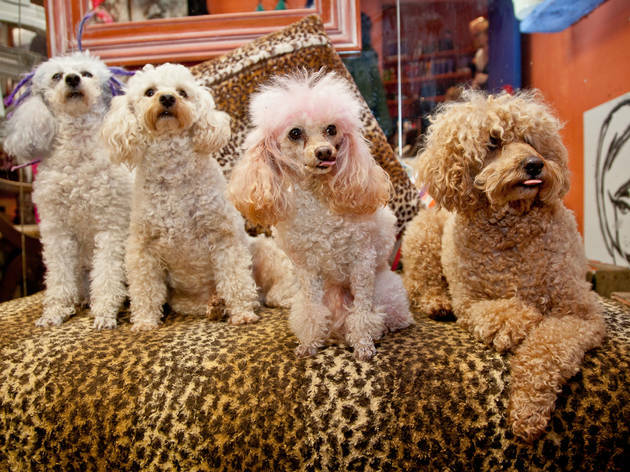 Rivalling Taylor Swift and her model mates, this posse of poodles might be the best squad around. 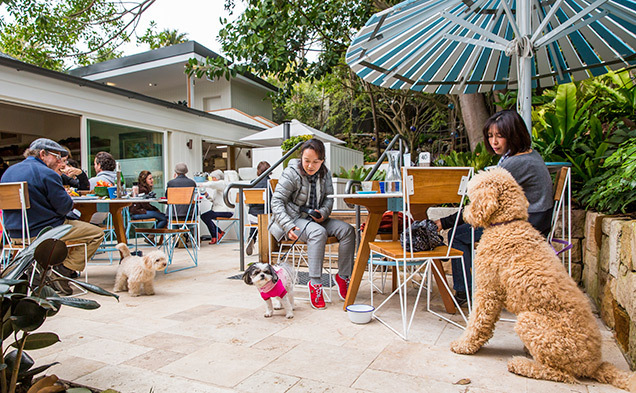 Salon owner and poodle matriarch, Sylvia, granted us time with her canine children for a chat about salon life. 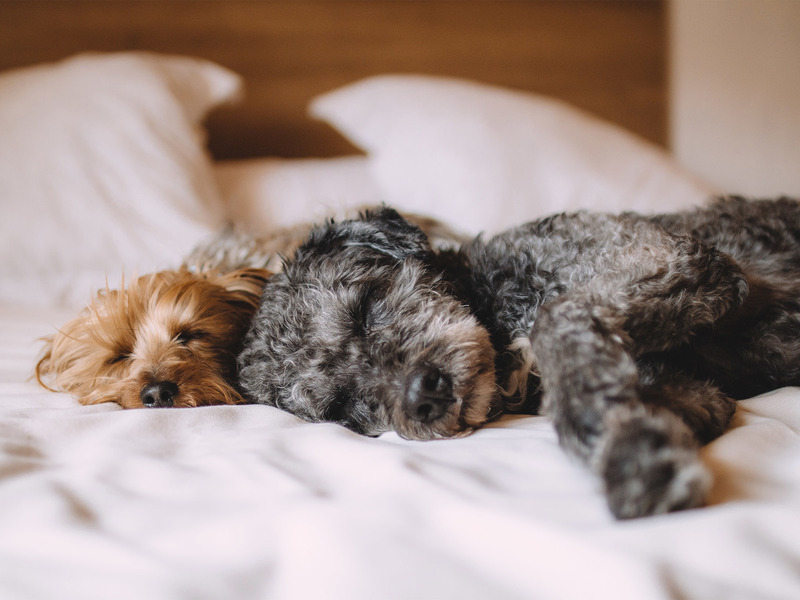 Poodles, do you all work every day? Jeffrey: Some of us are full-time and some of us are part-time, depending on how busy it is. Sylvia does the rosters so we have to check every week to see our schedules. What do you do at the salon? Felix: Oh, the usual. Bark at people walking by, sit in customers’ laps, sleep on chairs. Coco: Jeffrey thinks he’s the boss. Jeffrey: I do not! Alfred: Yeah, you do. Some of you have pretty wild hair. Is that a perk of working in a hair salon? 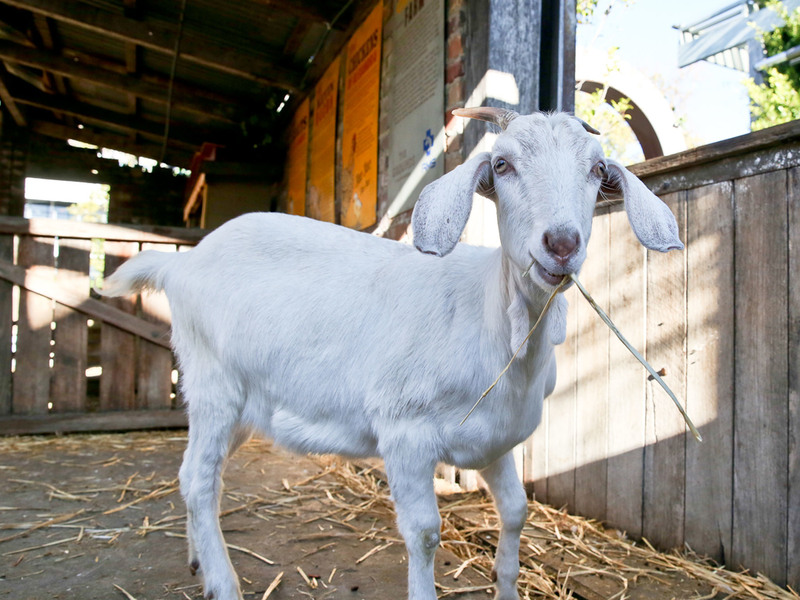 Muriel: Sometimes Sylvia needs hair models and most of us are happy to volunteer. Alfred: It’s fun being pink or purple or blue! The other dogs at the park always tell us how cool we look. How do you spend your free time? 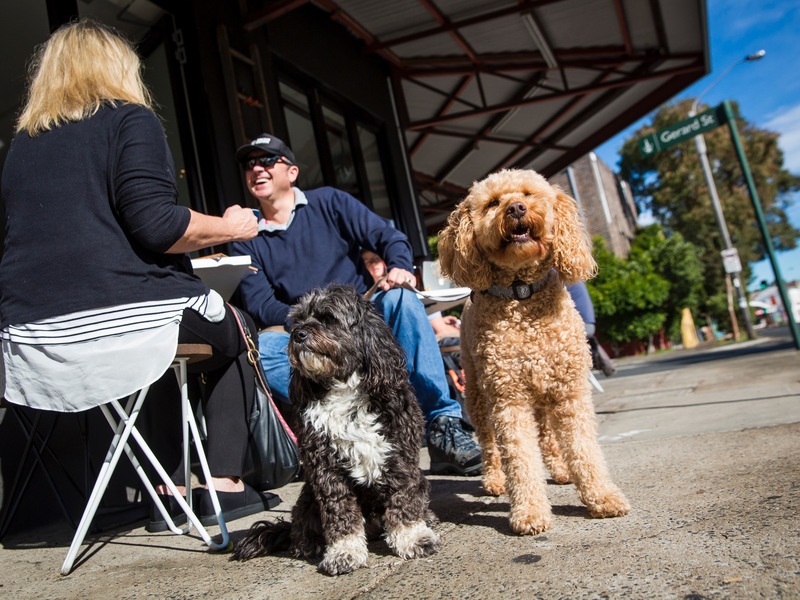 Muriel: We love going to cafés, but Sylvia says we get too excited and won’t sit still so we’re not allowed any more. I miss my skim lattes. 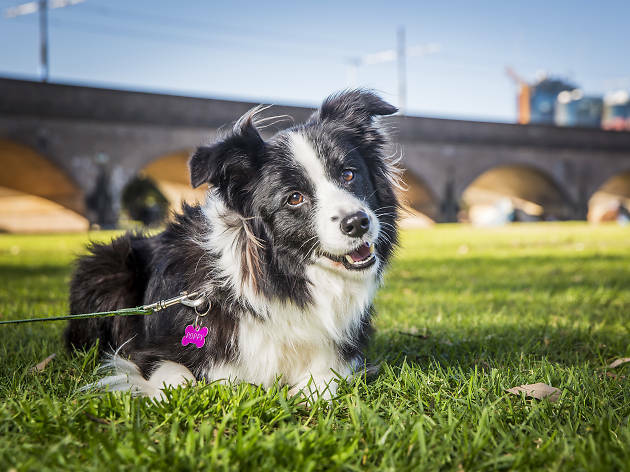 Coco: Our favourite activity is going for a run at Moore Park or Sydney Park. It’s how we keep our slim figures. Alfred: Don’t forget the beach, guys. We all love splashing in the water and burrowing in the sand. Do you need a haircut or a close shave? Have you ever wanted to meet a hairless cat? If you answered yes we suggest you head to Hawleywood’s. Resident Sphynx cat Bowie, a delightful young lass, will sort you out and have you considering spending up to two grand for your own hairless helper. Lovely to meet you Bowie. I love what you’ve done with your hair. Hey, thanks! Nice to meet you too. But I haven’t done anything to it, I was born this way. 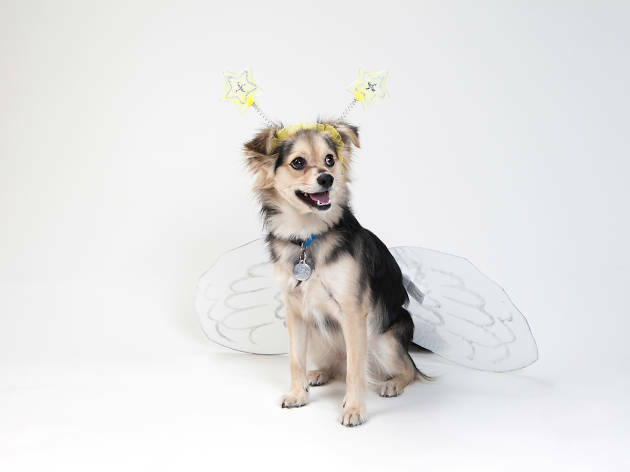 Were you named after the late, great David Bowie? I was. My boss, Rhys, is a big Bowie fan, and when he saw my different coloured eyes he knew exactly what to name me. We were both gutted when he died. It was just too soon. How long have you worked at Hawleywood’s? Rhys took me in about nine months ago, and taught me how to be an old-school barber. You don’t see many female barbers, and I like that I’m a bit rare. What’s your main job? Rhys mostly needs me to jump into customers’ laps and crawl underneath their capes. He’s too tall to do it himself. We’ve heard you have a special trick that makes you even more rare. Can you tell us about it? Well, I don’t want to brag, but... no, I’ll sound too full of myself! No you won’t. We promise. OK, well, Rhys has trained me to meow on command. Really? Can you show us? Rhys: Bowie! Meow for me. Bowie: Meow. That’s super impressive. 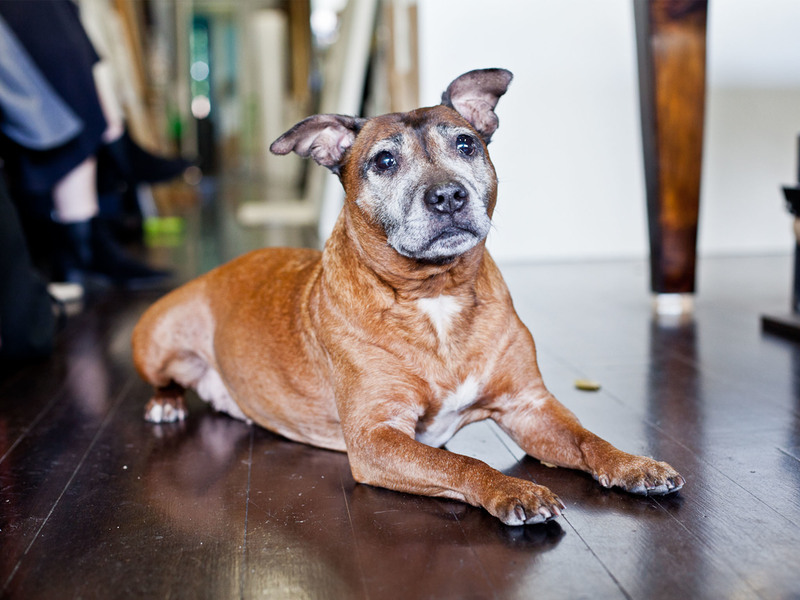 If you’ve walked along Enmore Road, you’ve probably passed Staffordshire Bull Terrier Pia, who works at Koru Framing. Owner of Koru, Kerry Ratcliffe, says the friendly Staffy is “the most famous dog in Enmore.” We were lucky to score an interview with her, and we’re happy to report that fame hasn’t gone to her head. Koru, how long have you worked at Koru framing? Well, let me see, it must be going on ten years now. Wow ten years. Time really flies, doesn’t it? What are your main duties here? My job description says I’m required to hang outside the show for most of the day, saying hello to everyone and making people smile. I also sometimes get the mail from the postie and take it to Kerry. I get a treat if do that so I try and do it everyday. Are the customers nice to you? Super nice. Some even pop in just to say hello to me. And there’s a group of them that come every week and always bring me treats and toys? Do you have any hobbies? Oh, just the usual. Chasing sticks, running around, eating human food. What else do you do in your spare time? I like it when Kerry lets me wander the streets without a leash. He’s a good boss like that. I also love swimming. Kerry sometimes takes me to Yarra Bay Beach for a splash and a sand run. That’s my absolute favourite thing to do. 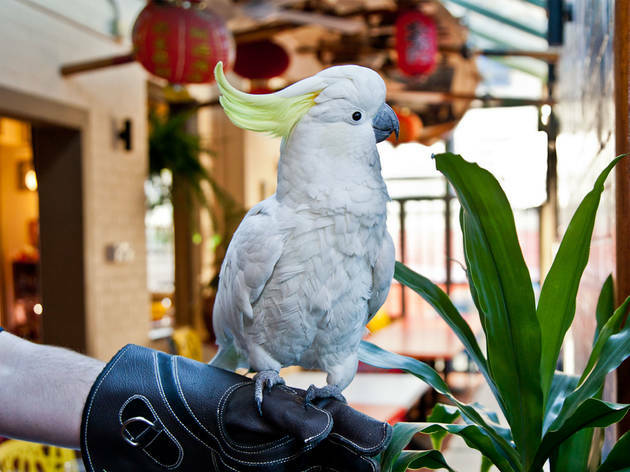 George the cockatoo may be the world’s first and/or only avian bartender. A stalwart of Glebe drinking hole the Friend in Hand, George has been pouring drinks for about 12 years. “Want a beer?” he asks as we enter the pub. 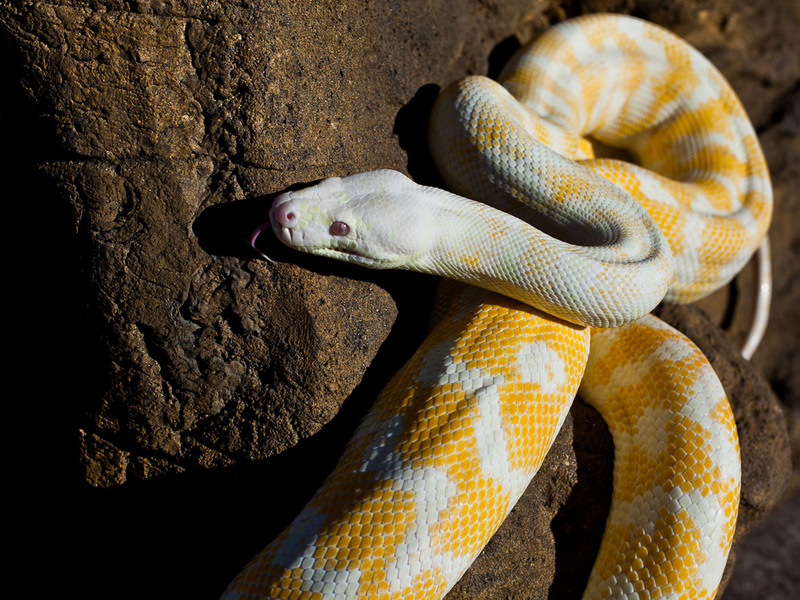 We politely decline – we’re driving, and it’s 2pm – and settle in to ask him some questions. George, how do you like working at the Friend in Hand? I love it! I get to yap at people all day and they feed me all the dim sims and barbecue pork I can eat. Which is a lot. What does a cockatoo bartender do? I sit, I squawk, I steal coins from the tip jar when nobody’s looking. It’s a pretty demanding job. Not ever y bird could do it. Do the customers like you? Most of ’em. But nobody is liked by everyone. Not even Hugh Jackman. There’s one lady who comes in most afternoons and has a few beers. She’s been doing it for years. She always gives me some of her dinner, so I get pretty excited when I see her and star t jumping up and down on my perch. She lets me hop onto her shoulder and I sit there until she leaves. We heard one of them tried to kidnap you once! Yeah, that was crazy. I was sitting on this dude’s shoulder and he went outside for a smoke and then just kept on walking. I couldn’t fly because I was frozen with fear, and then I blacked out. When I came to I was sitting on my log at the bar. Receptionist, nurse and CMO (chief meowing officer), Marmalade came to Rose Bay Vet Hospital as a rescue kitten about six years ago and never left. Her calm, inquisitive and very friendly nature is perfect for a vet cat, and she charms everyone – human and animal – who pads through the door. You’re looking great, Marmalade. Have you done something with your hair? Ha ha no, but I have been on a diet. I’m so glad you noticed. 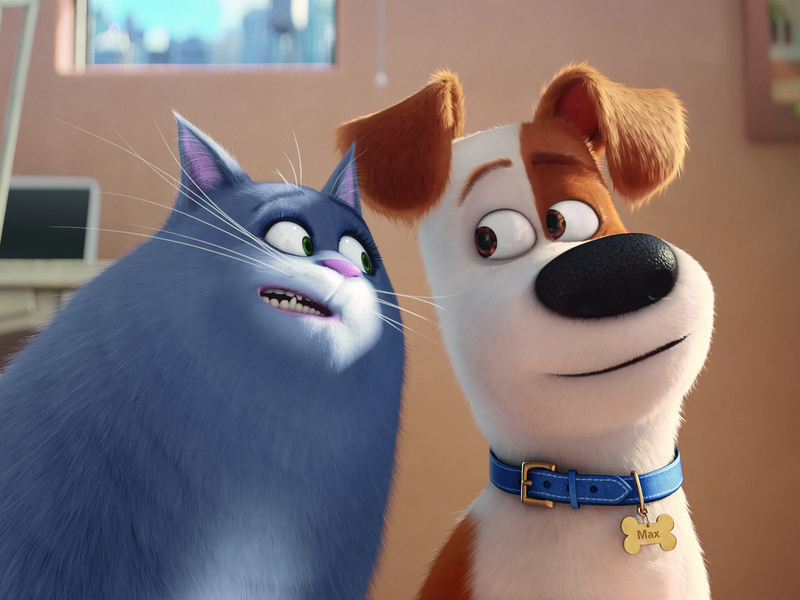 How did you wind up working at the vet? About six years ago, a very mean man took my sister and I away from our mum and left us in a box next to a dumpster. A nice lady found us and brought us here. We were put up for adoption and we both found forever homes. But the humans from my forever home never came to get me, so the vets asked if I wanted to stay here and earn my keep as a receptionist. It’s a pretty good deal. What do you do as receptionist? Mostly I sit on the counter and greet everyone who comes in, plus I provide meowral support to the nurses and other receptionists. I’m also in charge of grooming rescue kittens and protecting everyone from mean dogs. Do you get a break from your duties? Yup! Every afternoon I get time to run around like a maniac and scare the living daylights out of anyone who happens to be around. My co-workers call me the “naughty tor tie”.